Memorial Day in San Jose is better with tea. 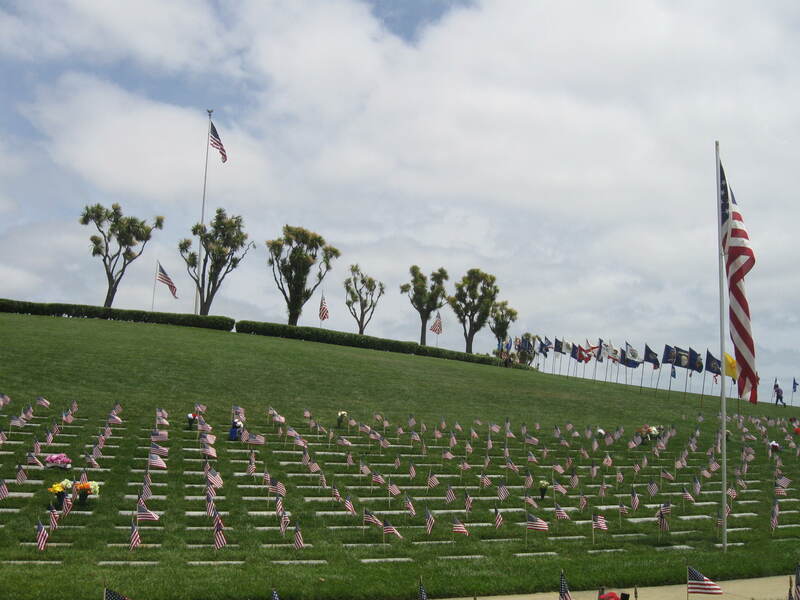 view of Golden Gate National Cemetery on Memorial Day, 2011. Photo: Elizabeth Urbach. San Jose-area residents are largely unaware of California’s individual contribution to the Civil War, World War 2, and think of Memorial Day as simply the kick-off to summer fun. Memorial Day was introduced in the 1870s to honor all those who were lost in the Civil War, and to help re-unite the nation by honoring both Union and Confederate soldiers. It has since been expanded into a holiday for honoring all U.S. soldiers, dead or alive. While the main conflicts of the Civil War occurred far away from San Jose, California did see local skirmishes between Union and Confederate sympathizers. The Union received large donations of California gold, which greatly supported the war effort. California’s brand-new state legislature also sent multiple companies of men to serve in the Union army; most ended up replacing more experienced soldiers stationed at army forts in the Northwest and Southwest, but a few companies saw action on the front lines by joining up with the Pennsylvania and other Northern states’ militias. San Jose’s Oak Hill cemetery has its own collection of local Civil War heroes, but since all veterans are honored on Memorial Day, all local cemeteries will be decorated with American flags for the holiday. Since tea parties are perfect settings for conversation, reminiscing, and honoring tradition, why not get together with family and friends on Sunday or Monday to remember and honor any veterans you know? Add tea to your barbecue at home or at a local park or public garden. Iced tea is a great addition to the traditional Memorial Day – the beginning of a long season of outdoor cooking and entertaining in the Santa Clara Valley – but hot tea might be just as welcome during this windy and cool holiday! Black tea pairs well with many traditional summer foods, like barbecued meat and grilled vegetables. Don’t forget the green tea ice cream and the iced chai! American beer fans can enjoy tea, as they do in the U.K. There are lots of other things to celebrate and enjoy on Memorial Day weekend in San Jose, as well. Bring a Steampunk tea picnic to San Jose’s Doubletree Hotel for the Clockwork Academy conference that runs through Monday. Visit Roaring Camp in the Santa Cruz Mountains for their annual Civil War reenactment. When we celebrate Memorial Day, we tell our brave veterans that their sacrifice is valuable and appreciated. Pull out some things from your tea party pantry and put together a picnic or barbecue to thank them all for our freedom! Titanic Survivors’ Reunion Tea and Garden Party, Saturday, May 12 at the San Jose Municipal Rose Garden. Hosted by the South Bay Ladies’ Tea Guild. Food will be provided; tickets cost $30 per person. Titanic-era costumes admired but not required. Gentlemen and well-behaved children welcome. For more information, contact the South Bay Ladies’ Tea Guild. 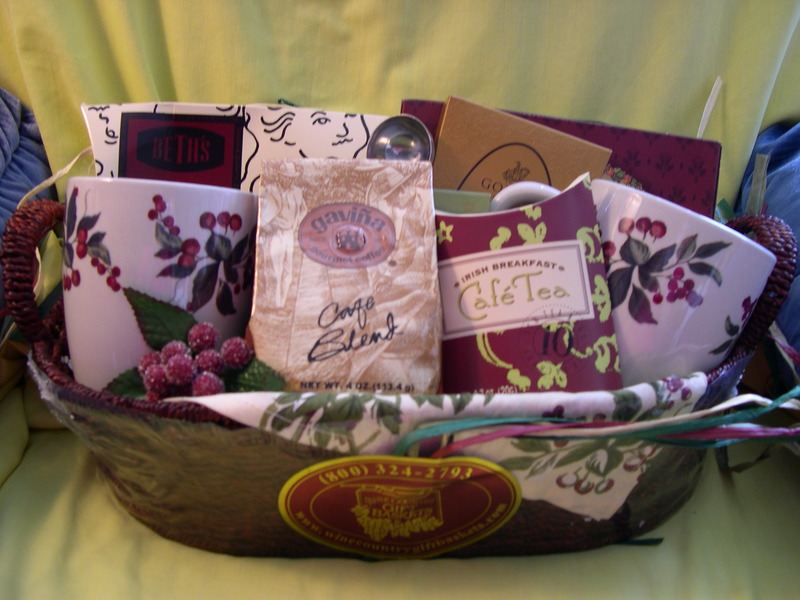 10th Annual Literary Tea, Saturday, May 12, 11:30 p.m. at the Barbara Lee Senior Center, 40 N. Milpitas Blvd., Milpitas. A light lunch will be provided; general admission tickets are $15 per person, or $12 for students and seniors. Historical fiction author C. W. Gortner will be the featured speaker, with harp music by Elizabeth Mier. For more information, contact Larry Voellger at 942-6960. A Tea Party Just For Mother, Saturday, May 12 and Sunday, May 13 at Lisa’s Tea Treasures, 1145 Olsen Ave., San Jose (at Santana Row). 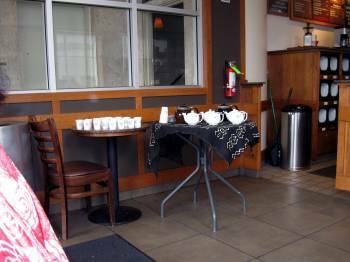 Special menu is $34.95 and includes a mimosa, choice of Vanilla Floral or Butter Truffle tea, Strawberry Almond Salad, Chicken Cordon Bleu, Cucumber Mint tea sandwiches, scone with cream and jam, and Lemon Cream Cake. Mother’s Day Champagne Tea, Saturday, May 12 and Sunday, May 13 at Lisa’s Tea Treasures, 1875 S. Bascom Ave. #165, Campbell. Special menu is $34.95 per person and includes a mimosa, orange juice or sparkling lemonade; choice of Earl Grey Floral, Champagne Raspberry or Boysenberry decaf teas; a Caesar salad and scone with cream and jam; apricot, pistachio and gorgonzola, cucumber mint and artichoke heart parmesan tea sandwiches; a choice of Four Cheese Basil Crepes or Caramelized Onion, Mushroom and Bacon Torte; and a choice of Chocolate Violet Mousse Cake or Mixed Berry Cream Tart. Mother & Me Champagne Tea, Saturday, May 12 and Sunday, May 13 at Tyme for Tea & Co., 37501 Niles Blvd., Fremont. 11 a.m. and 2:30 p.m. seatings, reservations required. Cost is $32 (ages 9 and above), and $26 per child age 8 and under. Call (510) 790 – 0944 for more information. 2012 Home Tour and Backyard Tea, Sunday, May 20 from 1 to 4 p.m. at the Historic Peter E. Col House, 1163 Martin Avenue, San Jose. Presented by Hanchett Park Heritage Project, the event will feature a tour of the home and a backyard tea. No children under age 12. Admission (online) through May 11 is $20 per person (+ online service fees); from May 12-May 18, admission is $25 per person (+ online service fees). Check in at the event; no tickets required. 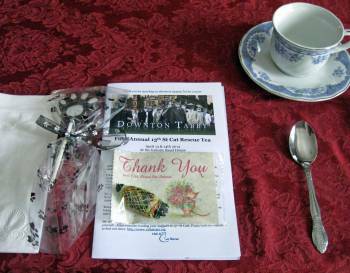 “Time for Tea” Exhibit, Thursdays through Sundays, noon to 4 p.m., through July 1, 2012 at the Ainsley House and Gardens, 300 Grant St., Campbell. 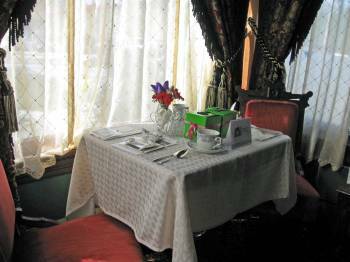 Afternoon tea in the Carriage House is available before each tour; tea and museum admission is $25 per person, and reservations are required. Call Karen Lange at (408) 866 – 2758 to make a reservation or for more information. Museum admission (without afternoon tea) is $6 (adults), $4 (seniors), and $2.50 (youth ages 7 to 17). Satori Tea Bar in San Pedro Square also has a seasonal tea menu, but you’ll have to go down to the shop to see what’s on it, because the individual items aren’t listed on the website. Of course, you could put together your own spring tea at home or at a park or garden in San Jose, with treats from your tea party pantry, perhaps a tea cocktail, chocolate, and other goodies. Keep warm with tea during the 2012 U.S. Figure Skating Championships! HP Pavilion. Photo: Wikimedia Commons, GNU Free Documentation license. 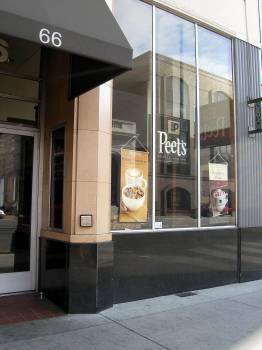 San Jose skating fans, keep warm with hot tea and snacks at the U.S. Figure Skating Championships this weekend! San Jose has the honor of hosting the U.S. Figure Skating Championships, the country’s most important figure skating event, at the HP Pavilion – also known as the Shark Tank — this week and weekend! Tickets are still available, so why not try and see the new set of possible Olympians compete in person? Local Olympic skaters Peggy Fleming and Brian Boitano will be present. 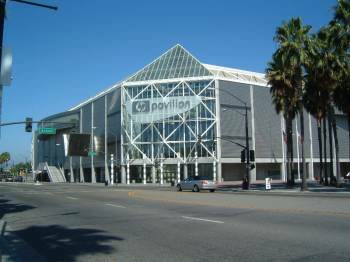 Knowing that the Pavilion will be kept at a low temperature during the competition, San Jose skating fans should prepare with warm clothing, a travel mug of hot tea, and maybe some snacks from the tea party pantry, for the experience of watching this exciting event live. According to the HP Pavilion policies, audience members are allowed to bring a small amount of food and drink into the arena for their personal consumption, although large coolers or other large insulated containers are not allowed. A nice black tea would provide enough strong flavor and caffeine to contribute to the excitement of the event. The competitions have already begun, but the most anticipated events, the ice dancing free skate and the ladies’ free skate, will occur at noon and 4 p.m. respectively, on Saturday, January 28. The men’s free skate, pairs long skate and the closing ceremonies will be held on Sunday, January 29.